MDWg wins at the East Kimberley Aboriginal Achievement Awards! 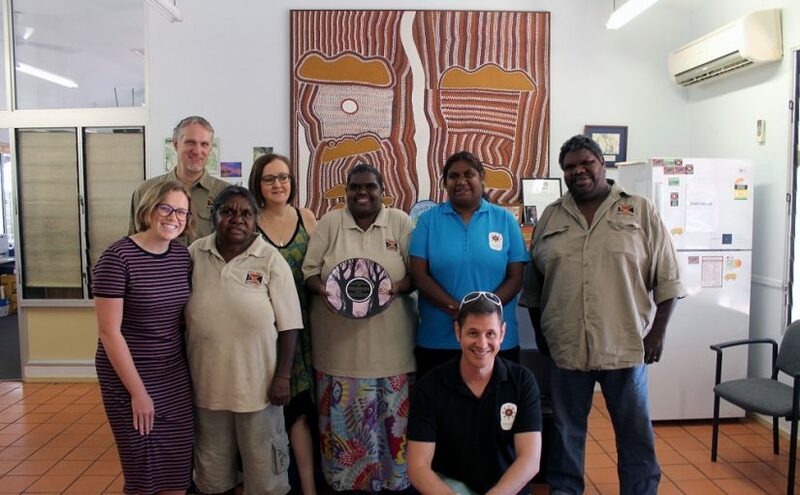 On August 26 2017, MDWg were announced the Outstanding Organisation Contributing to Community Life at the East Kimberley Aboriginal Achievement Awards (EKAAAs). The EKAAAs are organised by Wunan Foundation and are held every two years in Kununurra. The night is always a fantastic celebration of individuals, programs and organisations that are working hard to improve outcomes for the Indigenous community throughout the East Kimberley. 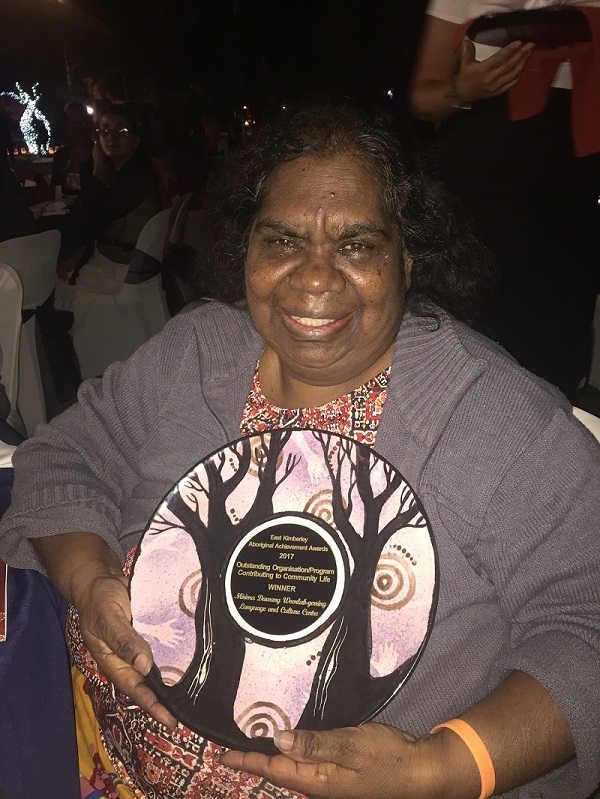 The Chairperson of Mirima Council, Ms. Rita Boombi accepted the award and was proud to be able to speak her Miriwoong language to the audience. As a member of the Miriwoong Language Nest, Rita knows just how important the work of MDWg is to the Kununurra community. The MDWg team congratulates all of the night’s nominees and award recipients. We will continue to work tirelessly for the Miriwoong community to preserve the traditional language and culture of the region. You can read more about the night here.